Whether you’re rejoicing or reminiscing on your previously ad free Instagram, times are changing for Facebook’s cousin, writes digital marketing expert Richenda Vermeulen. What does this mean for Aussie brands? Don’t panic, you’re not behind the eight ball! 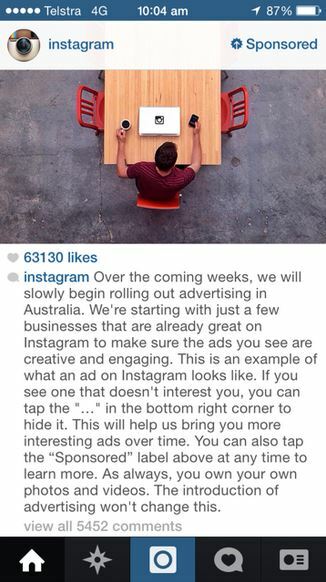 There’s no set date for the roll out of Instagram advertising for the masses. Instagram has been taking a gentle approach in an attempt to not compromise user engagement. Instagram is doing things differently . Instagram has been working with Australian advertisers to help create user friendly ads. There is a clear brief: ads must be creative, engaging and inspiring. “We want these ads to be enjoyable and creative in much the same way you see engaging, high-quality ads when you flip through your favorite magazine,” the social network announced in its release of the new ads. There is also a global vetting process with all approvals requiring the tick of approval from Instagram co founder Kevin Systrom. What’s the potential of Instagram ads? The potential is huge. Instagram has the unique ability to put ads right under the nose of users in a non intrusive way. Ad’s look like regular posts without a pop up, side bar or flashing gif in sight. Another plus for Instagram is the goldmine of Facebook data they have access too. This means targeting ads to gender, age and location in the same way Facebook can. Is it affordable? Rumors of price haven’t hit the media yet, but hopefully Instagram ads are more affordable option than Twitter’s which in Australia start at $15,000 (over a 3 month period). Price will determine accessibility for Not for Profits and small to medium size businesses. How will results be measured? There has been little information shared on success metrics for instagram advertising. Trials in the US saw Levi’s and Ben & Jerry’s adverts reach between 7.4 – 9.8 million people however results could be exacerbated by the hype of them being the first ads release on instagram. Will it drive results? One of the greatest barriers to conversion via Instagram is the limited ability to embed website links in content and drive social traffic to a website. Traffic to site from social media channels is crucial for Not for Profits or online business and is often a core measurement of ROI. 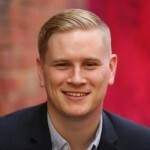 However, last month instagram announced plans to launch an exciting new suite of business tools for content scheduling and measurement. Advertising management could be a part of this release. Questions like these will hopefully be answered as the advertising roll out continues. It would be great to see a charity featured as part of Instagram’s advertising release considering the highly engaging, life changing stories available to Australian Not for Profits.